The president hopes to meet him for a TV debate on 19 April. 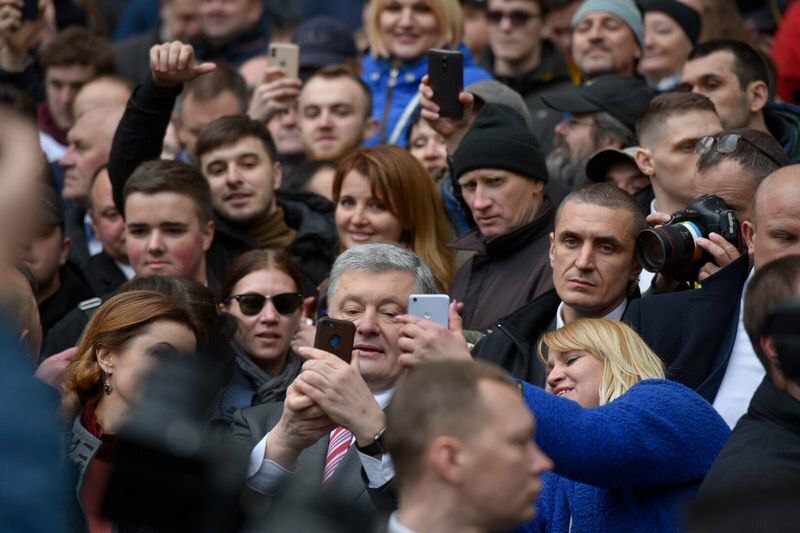 President Petro Poroshenko arrived at the Olympic Stadium in Kyiv today at around 2.00 p.m. for a debate with his opponent Volodymyr Zelenskyy ahead of the 21 April runoff of the presidential election. He gave a brief speech in the square in front of the stadium, which was filled with his supporters. 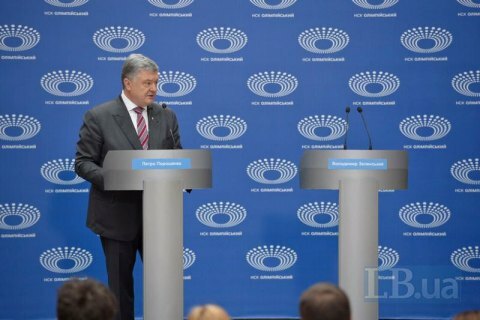 Poroshenko repeatedly called on Zelenskyy to come and hold a debate. The president stayed at the stadium for an hour but the comedian, who initially suggested the idea of a debate at the stadium, did not show up. Zelenskyy has been ignoring the president's invitation, insisting that the debate should take place at the stadium on 19 April when the two are legally obliged to hold a debate in the studio of the National Public TV Company of Ukraine. While waiting for Zelenskyy, Poroshenko held a briefing for the press. Poroshenko also said that the two were invited to the "Freedom of Speech" talk shown on the ICTV channel on 15 April. Zelenskyy urges Poroshenko to take "meaningful action"